Join our award-winning team of over 300 IT professionals based at both our Bristol headquarters and our tech hub in Warsaw. Our business is complex, fast-paced and growing rapidly. At HL you'll get the chance to take on exciting challenges and the freedom to innovate and develop your skills. Along with very competitive pay and a discretionary bonus, you can expect great benefits, a fantastic city-centre location and a friendly working culture. Expert looking for your next challenge? Show off what you can do and help us become a fin tech leader. You'll get training and loads of hands-on experience as you hone your skills. With over 1,500 employees, we're always looking at new ways to collaborate better in order to improve the client experience and that extends to how we deliver Change. Whether you’re new to Agile ways of working, or if you’ve got bags of experience, we’d love to hear from you. I have worked for Hargreaves Lansdown since June 2015, having joined the IT Testing Team. It’s a challenging but enjoyable role as I get to work on a range of projects varying from small bug fixes to larger enhancements of our products that we offer directly to our clients, as well as the systems that hold it all together behind the scenes. I love the variation of my role. I get to communicate with different people across the business so it’s never a dull day and I’m constantly learning. Hargreaves Lansdown have a very good ‘open door’ policy with the managers and senior managers being very approachable and can often be seen out at staff socials, which gives a real feeling of being one big team. We are regularly encouraged to put forward any ideas we’ve had to the managers. Anything from a new process, to a tool we’ve heard about or simply just a way we’ve found to do something in a more efficient way. These are taken seriously and implemented where possible. I absolutely love working here, the reputation of the company, my colleagues, the variation, the office and the location make getting up for work each day a doddle. I think working for Hargreaves Lansdown is a great opportunity for anyone looking to start or progress their career. I joined HL at the start of 2017 with a background in IT, Risk and Information Security across Financial Services and other sectors. The great thing about working for HL is that it’s a large FTSE100 company (in my home town of Bristol), but with the team spirit of a smaller organisation. I am fortunate enough to work in the Information Security team, allowing me to interface with the business at all levels across all parts of the business. For me this means no two days are the same and I’m kept mentally stimulated in my work. I have plenty of ownership of what I do and I can see the positive impact of what we do as a team. When I’m not in the office, I’m usually DJing or practising Wing Chun Kung Fu somewhere! I joined HL in October 2016 on an IT apprenticeship program working on the IT Service Desk. After successfully completing the apprenticeship program, I’ve been given lots of opportunities to progress into other areas of IT. I’ve gained a huge amount of experience and knowledge of our IT systems which helped me in securing my new role in the Security Operations Centre. In my current role as a Cyber Security Analyst, I have been given an opportunity to progress into specific areas such as log management, incident response, vulnerability management, cyber threat intelligence and campaign analysis. My current role will be synergistic in helping me to achieve a BSc (Hons) in Digital and Technology Solutions qualification. Since joining HL, I’ve become a much more confident and clear-minded person. There’s a whole host of social activities including charity events, work groups and team/department meetups. Everyone has always been very friendly and approachable which makes it a great place to come and work every day. I joined HL in 2013 as a COBOL Developer, tasked with making changes to the existing back office systems, including Trading, Fund Conversions, Pensions, ISAs and more recently Lifetime ISAs. I love being able to work on so many different things and every day is interesting and a challenge. After a couple of years, I was given the opportunity to be a Team Leader and my team has now grown from 6 to 14 people. Its hard work, but I‘ve been given plenty of support and training, both in-house in the HL Training Academy and external ILM training. I can honestly say that HL is a fantastic company to work for. I’ve benefited from the constant improvements being made across all areas of the company including pay & rewards, office refurbishments and the dress code which has recently been relaxed from smart business to smart casual. I am a Senior Project Manager in the Change team here at HL and joined in January 2017. I have over a decade of Change Management experience in Financial Services in Bristol and have worked on a number of large-scale complex programmes. I had reached a point in my career where I was ready for a change when the opportunity to work for HL came up. It was exciting as I felt my skills and experience would really help the development and shaping of the team, as well as support the successful delivery of projects. At HL you can get much closer to changes, you don’t have to rely on multiple third parties to deliver, but the icing on the cake for me is the fantastic central location of the building which means I can walk to work! The role is challenging but I really enjoy what I do as each project is different and on top of that I get to work with lots of interesting and intelligent people every day. I joined HL in 2011 working on the Service Desk where I was doing anything from building PCs and fixing printers to advising users. After a year I was offered the opportunity to move into the Windows Infrastructure team where I further developed my problem solving skills and detailed knowledge of the Microsoft server platform. The knowledge gained here later helped me to move into my current role of Database Administrator. Working as a part of the Database Team, I am responsible for maintaining and enhancing the Oracle estate that stores the company’s assets. No day is the same and we overcome different technical challenges on a daily basis. As a team we get to work closely with the internal development and project management teams to improve and update our systems. HL is an excellent company to work for, they offer great career development and have supported me in a number of career moves. They have helped me with relevant training and guidance as well as exposure to lots of new technologies. I have met some great people along the way and really enjoy working here, I’m excited to see where my HL career will lead me in the future. I joined HL in August 2017 as a Java Developer in the Active Savings Team. We work in Agile teams collaborating closely with Business Analysts and Test Analysts to create an innovative cash savings product using Spring Boot. We enjoy a fast paced working environment where the Senior Developers are always happy to give feedback and we are encouraged to share any new ideas that may disrupt the status quo. HL promotes a culture of self-improvement and allow me to allocate time for personal development each week. I’ve also been involved in hosting presentations each month on subjects such as Blockchain, Microservices and Scrum vs Kanban. They also offer lots of training from other talented Developers within HL as well as external courses and conferences. 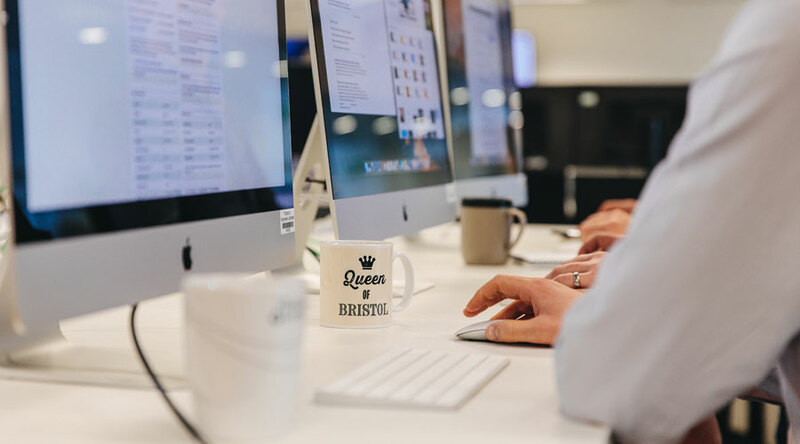 We are located in a great area of Bristol and one of the best perks of our office is that everyone has a fully adjustable sitting/standing desk. I am thoroughly enjoying my time at HL, it has been constantly challenging and I would highly recommend HL to any other Developers considering making a move. I joined the IT department as an IT Service Delivery Analyst in January 2017 and I look after our code deployments. We are constantly innovating and trying to make things easier and more efficient for our clients and colleagues. My journey is a bit different than most of my IT colleagues. In 2013, I joined HL as a temporary hire, helping the ISA team process applications. I then secured a permanent position in the stockbroking team before moving on to the internal audit team. As an internal auditor, I had the opportunity to learn more about IT and speak with the managers. I really enjoyed the constant buzz of energy I felt whenever I entered the IT department and people appeared to genuinely enjoy what they were doing. When the Service Delivery role opened up, it took me about 10 minutes to decide to apply. This role allows me to engage with every area of the business and help to make processes better. I’ve had opportunities to go on different courses and attend conferences – the managers are really supportive of continuous personal development. After just over a year in the role, I can honestly say my only regret is that I didn’t join IT sooner. Amanda, our Junior Cyber Security Analyst, began her HL career as an apprentice on our IT Service Desk in 2016. Her drive and ambition has helped her complete the scheme and move into cyber security. She is also about to embark on a degree in Digital and Technology Solutions. Here, Amanda shares her experiences and tells you more about her journey.